Before he decided to run against Sen. Ted Cruz, few people outside of Rep. Robert “Beto” O’Rourke’s Texas congressional district knew who he was. After he filed, the dishonest “establishment” media and Hollywood elite did all they could throughout the summer to pretend he had even a snowball’s chance in Hades to unseat Cruz and turn half of Texas’ senatorial delegation blue. They talked about his “charisma,” his “appeal” to Left-wing voters, his heritage, his youthfulness, all while pouring millions of dollars into his campaign. What no one ever talked about, however, was his accomplishments, which would help explain why even his young supporters can’t name any of them. Campus Reform sent a correspondent, Cabot Phillips, to Texas A & M University to ask students if the election were held “today,” who they would vote for. While most said they would pull the lever for O’Rourke, they also could not point to any of his specific accomplishments as a U.S. representative. All they see is a “D” behind his name. Cruz is currently leading – by a good margin – in most surveys, but as Phillips noted, “O’Rourke has a decided lead amongst Millennials and college students” (thanks mostly to being brainwashed into unquestionably supporting the party of the Donkey). Supporters of Sen. Cruz have claimed that though O’Rourke possesses plenty of smooth rhetoric, he lacks in substance and qualifications. Wanting to see if O’Rourke’s supporters could detail accomplishments of the Texas Congressman, Campus Reform’s Cabot Phillips headed to Texas A&M to ask his supporters a simple question: Can you name an accomplishment of his? Without a doubt, the answer was overwhelmingly no. “Umm, I’m not aware of any specific accomplishments,” said one student. A female student who said she would choose O’Rourke “because I’m like, a woman,” said of his accomplishments, “I honestly couldn’t point to anything. I’m not as educated as I would like to be.” Oh, but wait – she did say he’s done a great job “getting his name out there,” as if that’s some sort of nation-changing event that will benefit all Americans. Yes, that much is evident. Choosing one candidate over another simply because of your gender is about as clueless as it gets. If you ever seriously doubted that most college campuses have been transformed into little more than propaganda mills for socialist/Marxist Democrats, watching Phillips’ interviews should remove those doubts. At best, O’Rourke has been a congressional back-bencher for the Democratic Party, not really proposing much but rather acting more as a placeholder and a unified voice of opposition. So in that vein, it’s understandable that his youthful supporters can’t point to anything that he’s done of note. Would that change if he were to defeat Cruz? Perhaps. But would O’Rourke’s agenda help or hinder his young college supporters? Let’s take a look. O’Rourke supports impeaching POTUS Donald Trump, the president who has created the best economy college grads have had in a decade. He supports reversing the Trump/GOP tax cuts, thereby lowering the take-home pay for these soon-to-be-grads (and at the same time destroying the robust job market lower corporate taxes have helped create). O’Rourke would empower school teachers, not parents and further destroy the economy by voting to rejoin globalist “trade” agreements that siphon jobs and wealth from our country, according to his campaign website (you can look it up). None of these positions are beneficial to America and in fact, merely double down on the same failed policies that have been implemented for decades. If the Left wasn’t brainwashing our next generation, they’d be able to see that. 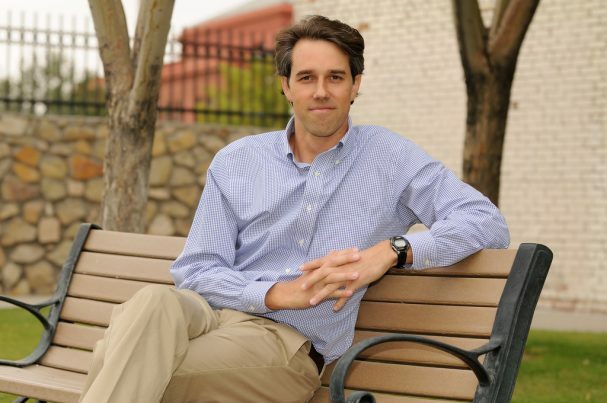 Read more about Beto O’Rourke’s campaign and positions at Beto.news.